It’s usually not good when the airport manager who you don’t know calls you. I had just laid down in the hotel room to get some rest. It had been a hectic Monday morning already. I had some delays preheating my airplane for the ferry flight from Iqaluit to Sondre Stromfjord (CYFB to BGSF) and was rushing to get airborne. I had to be airborne before 11:00 am local time or I would arrive in Greenland after the airport closed, and that’s a $1,300 / hour overtime fee. I got airborne about 15 minutes before 11:00 and was relieved to be on my way. For about 30 seconds that is, then I noticed the red “gear unsafe” light would not go out (it’s supposed to come on for 20 seconds or so while the gear retracts and then go out when the gear is fully retracted). The landing gear in my Piper Seneca didn’t fully retract. I tried to cycle the gear to no avail. The cold weather was causing trouble. I returned to Iqaluit, flew over the runway just to get one more confirmation that the gear was down and landed. I parked the airplane in the same spot it had been in the night before. 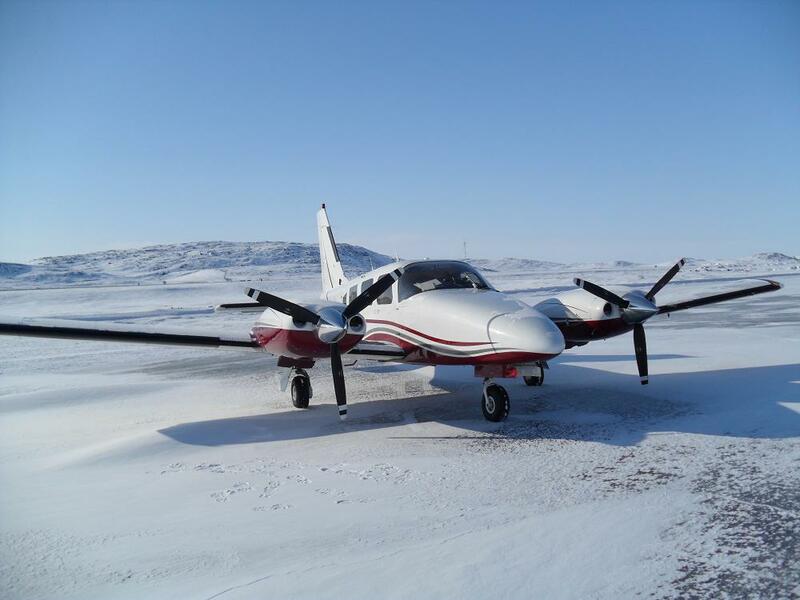 Here’s the Piper Seneca I was ferrying on the ramp in Iqaluit. I suspected the landing gear just needed lubrication to handle the cold weather. Truth is, many light airplanes are not maintained as well as they should be, and one common culprit is lack of proper lubrication. It’s just easier to spray some LPS than to get out a grease gun. That said, even if all is maintained well the extreme cold can cause trouble. At any rate, I could not get the airplane back in the hangar to check things out until 5:00 am the next morning, so I returned to my $210 hotel room. Five minutes later is when the airport manager called (actually I think it was the ground handling manager). “Another airplane needs to go in your spot. I was sort of puzzled because the ramp in Iqaluit is quite big and there was a lot of room for other airplanes, but no big deal. I returned to the airport and moved my airplane. The airport folks were very friendly and explained that I needed to move my airplane because the “new” Boeing B747-8F was coming in to do cold weather testing, and needed a large ramp area to do runups. You can see by the short “bubble” on the fuselage that this is the cargo version. 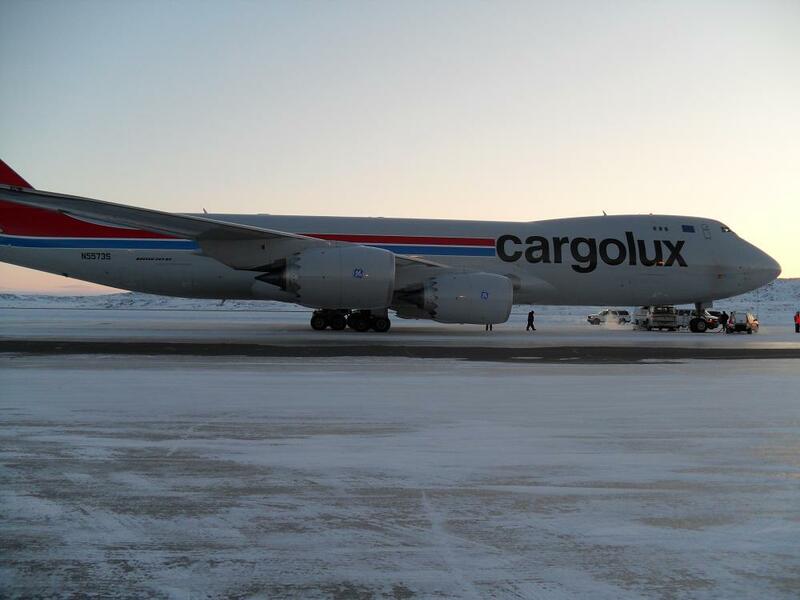 It’s a flight test airplane but painted in CargoLux livery. I believe this airplane will be delivered as a production airplane after final testing. The Boeing B747-8F is powered by GE’s GEnx engines, which are made at GE’s Durham Engine Facility where I used to work a few years ago. 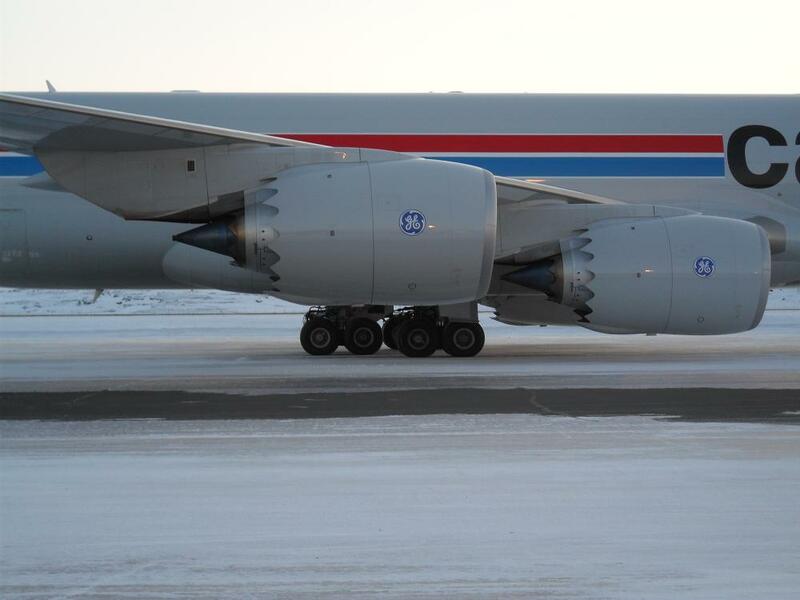 The GEnx engines are similar to the GE90 in that they have composite (plastic) fan blades. 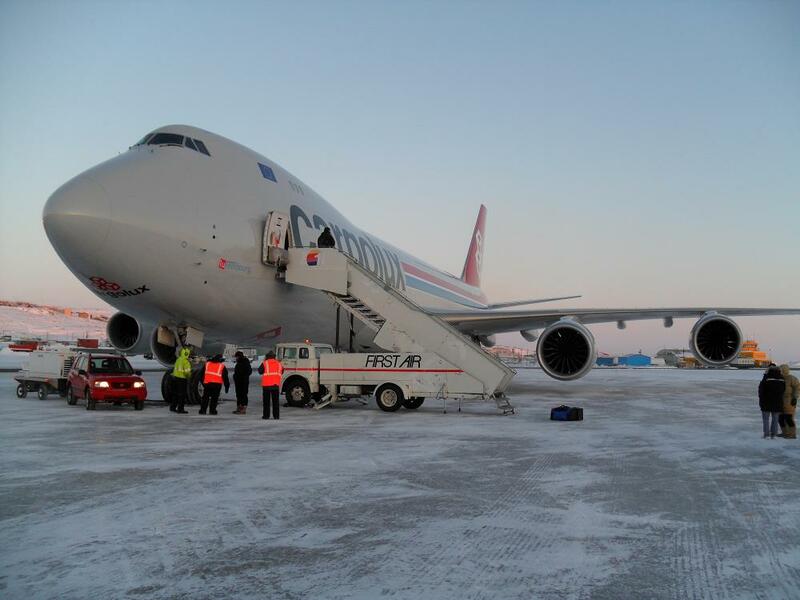 The B747-8F was doing runups and various cold weather tests at Iqaluit. The temperature was about -27C (-17F) during the day, and even colder at night. The next morning I lubricated the landing gear on my airplane (many thanks to the guys at First Air) and had an uneventful flight to Greenland. The weather in Greenland, that’s another story. 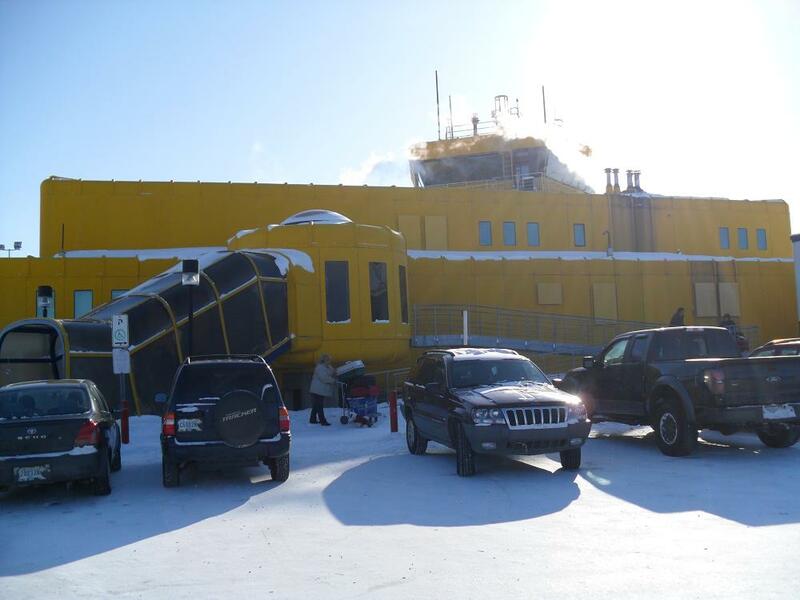 This airport, located in the city of Nunavut in Canada, will see improvement and renovation works as a part of the airport’s improvement project. The $298.5m project includes expansion and refurbishment of the airport’s facilities.